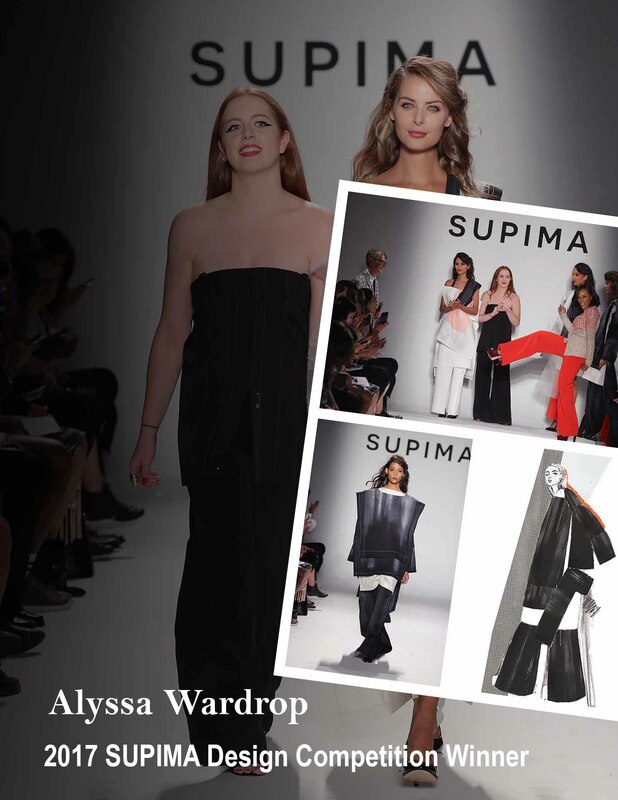 NEW YORK, Sep 7, 2017/ FW/ — Alyssa Wardrop, a recent graduate of the Fashion Institute of Technology has been named winner of the 2017 SUPIMA Design Competition. For her win, Wardrop received a check for $10,000 from Supima to kick-start her design career. Additionally, Alyssa will present her collection during Paris Fashion Week on Sept. 26. “Treating the rectangular, white silhouette like my blank canvas, I create new moments by using paint, heavy topstitching, layering fabrics, and creating texture,” explained Alyssa when asked what was the inspiration of her winning collection.